Susan picks music: Chants! Chants! Some of Them From France! June 27, 2013 June 24, 2013 / Susan O.
Buddhist Chants and Peace Songs: This album knocked me off my feet! I expected that ho-hum Gregorian motif, and what I found was a light, bright, happy tune filled with undulating harmonies that sank into your head and had you singing along in phonetic Chinese. Composed of two long (40-minute) tracks, this is fabulous background music for artwork, writing, relaxing, or meditating. Absolutely delightful and unexpected. Enigma: Love Sensuality Devotion – Enigma, my long-standing New-Age relaxation group. 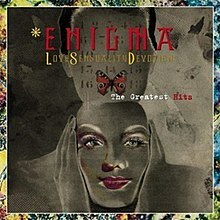 Enigma dances along the line of New Age-Rock, filled with chants, beats, echoes, and whispers. Wonderful for relaxation or background at a cocktail party. My favorite track? Principles of Lust. Chant: Sure, it’s your traditional French Benedictine Nuns wailing in plainsong, but the rhythms get under your skin and the choral is magnificent. Even if you aren’t up to stroke on your Latin or care about the religious aspects, let yourself get carried away by the sheer beauty of the form. Acoustic Africa: Not so much a direct chant, but a lovely album incorporating rhythms and music we aren’t used to in our pop-rock society. A great album to try if you’re bored with radio music but don’t particularly care for folk music. 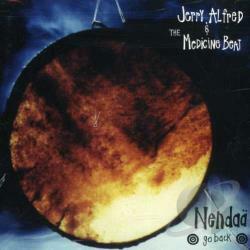 Nendaa – Go Back by Jerry Alred and the Medicine Beat: New-Agey Native-American-style music with chants, wails, guitars, and drums. Perfect for a dark night and a campfire. Give one a try, or some of our other Chants, whether Benedictine, Russian, or popular! And don’t forget the O Fortuna!